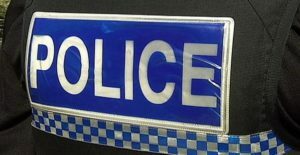 Police in Fife are investigating a break-in to a white Ford Transit van, which saw £3000 worth of tools stolen. The theft took place in Cochrane Avenue, Inverkeithing, between Monday and Tuesday. Detective Inspector Kelly McEwan, of Dunfermline CID, said, “I would ask anyone who was in the Cochrane Avenue area of Inverkeithing on Monday, February 11, and saw anything suspicious, to get in touch with us as soon as possible.